Sacramento State’s Jazz Program continues to rack up awards. Downbeat magazine, the bible of the jazz industry, has bestowed two Outstanding Performance awards and another for Outstanding Arrangement to Sac State in its annual Student Music Awards of colleges and high schools. The list appears in the June 2018 issue of Downbeat, released May 1. It isn’t the first time this year the School of Music’s Jazz Program has been honored. In March the Jazz Ensemble, led by Jazz Program Director Steve Roach, was named one of the nation’s three best college jazz bands at the Monterey Next Generation Jazz Festival. The jazz singers will display that award-winning talent when they perform at 7 p.m. Friday, May 11, in the Capistrano Concert Hall. 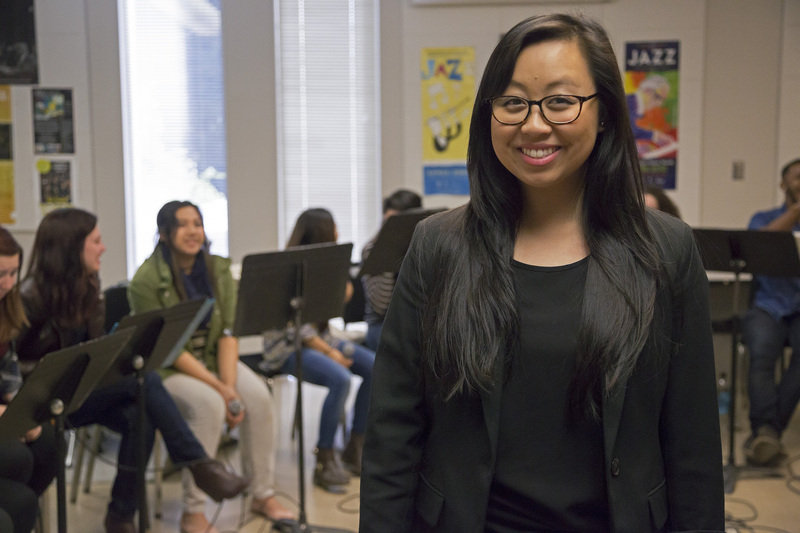 The program includes “Samba De Orfeu,” arranged by Jeremy Fox; Manhattan Transfer’s “Birdland”; and Bjork’s “New World,” arranged by Sac State’s former director of vocal jazz, Kerry Marsh. Tickets are $10 general admission, $7 seniors, and $5 students, and are available at the University Ticket Office or by calling (916) 278-4323.